This year we will NOT be parking at Markay Cabinets, as they are not available. We will be parking on the road, so you will need to park appropriately and cautiously. There is a turnout area, where the registration and team tents will be located, but it will ONLY be for team tents, ABSOLUTELY no team vehicles. 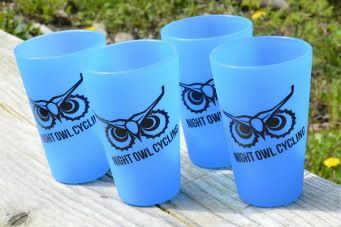 Night Owl Cycling is going to be giving away pint glasses to the first place winners of every category and shot glasses to 2nd and 3rd places!! Regular Course Strava Map The course is 6.8 miles. Junior Course Strava Map The course is 3.6 miles. Points are awarded to each finisher in each division and category at the completion of each event and are carried over to the next event. The final event, will be a stand alone event and will not count towards series points. At the final event we will have the series ending podium ceremony. This way, people can review the results and let BuDu Racing, LLC know ahead of time if there is an issue that needs to be reviewed.